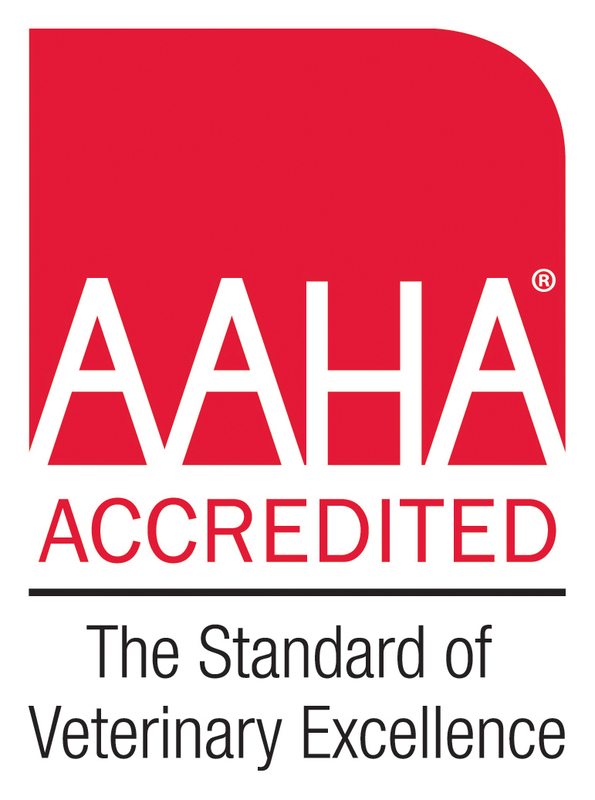 Oceana Pet Hospital is a full-service veterinary AAHA accredited medical facility, located in Pacifica, CA. The professional and courteous staff at Oceana Pet Hospital seeks to provide the best possible medical care, surgical care and dental care for their highly-valued patients. We are committed to promoting responsible pet ownership, preventative health care and health-related educational opportunities for our clients. Oceana Pet Hospital strives to offer excellence in veterinary care to Pacifica and surrounding areas. Please take a moment to contact us today, to learn more about our veterinary practice and to find out more information about how Oceana Pet Hospital can serve the needs of you and your cherished pet. Dr. Shirley Yang was born in the small town of Ukiah, CA, moved to the East Bay Area at a young age and currently lives in San Francisco. She attended college at UC Davis with a B.S. in Animal Science, after which she ventured to St. George's University in Grenada, West Indies for veterinary school and completed her clinical training at Cornell University. After experiencing the many different areas of veterinary medicine, she found her real passion in the diversity of general practice. During her spare time, she enjoys the great outdoors and sunlight, beaches, hiking, running, fishing with her grandfather, yoga, cooking, eating a ton of desserts, comedy shows, and spending quality time with family and friends. Dr. Virginia Butler is originally from the east coast of the United States, growing up in Tampa, Florida, attending Wellesley College in Massachusetts, and then practicing commercial real estate finance law in New York City after attending Vanderbilt Law School in Nashville, Tennessee. It was after she got her dog Neo, a pug/beagle mix, that her passion for animals was reignited and that she decided to pursue her childhood dream of becoming a veterinarian. 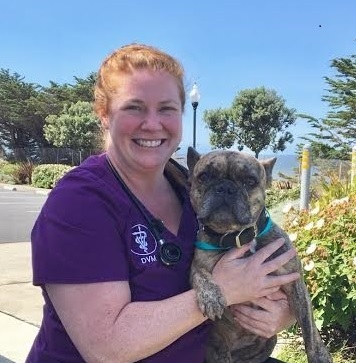 Dr. Butler always thought she might be a Californian at heart and was extremely excited to be accepted to UC Davis for veterinary school, where she received her DVM degree. While she tried to stay open minded to the array of species that veterinary medicine offered, she knew in her heart that working with companion animals and helping to strengthen and preserve the bond between her clients and patients was her calling. Dr. Butler is very excited to have recently joined the staff of Oceana Pet Hospital. In her spare time, Dr. Butler enjoys exploring San Francisco and the beautiful California coast. She lives in San Francisco with her dog, Neo. Dr. Alfred Tam is a Bay Area local, born and raised in South San Francisco and Millbrae. He attended UC San Diego for college, where he studied biochemistry and helped research and development of chemical and biological nanoparticles. Tam also rowed for two years with the USCD Men's Crew Team, where his team qualified for IRA National Championships both years. 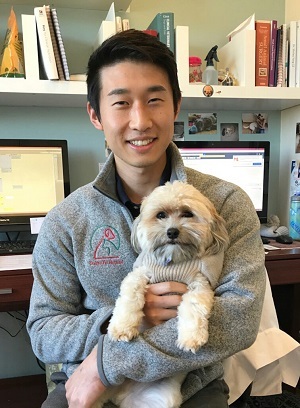 After finishing college, Dr. Tam returned home and began working as veterinary assistant with Oceana Pet Hospital, wher he practised for nearly two years, while also coaching his high school's water polo team. Dr. Tam briefly left Oceana, and begun studying veterinary medicine at Ross University, finishing his clinical studies and Colorado State University. After his schooling, Tam was excited to return to his family at Oceana Pet Hospital and practice as a veterinarian. 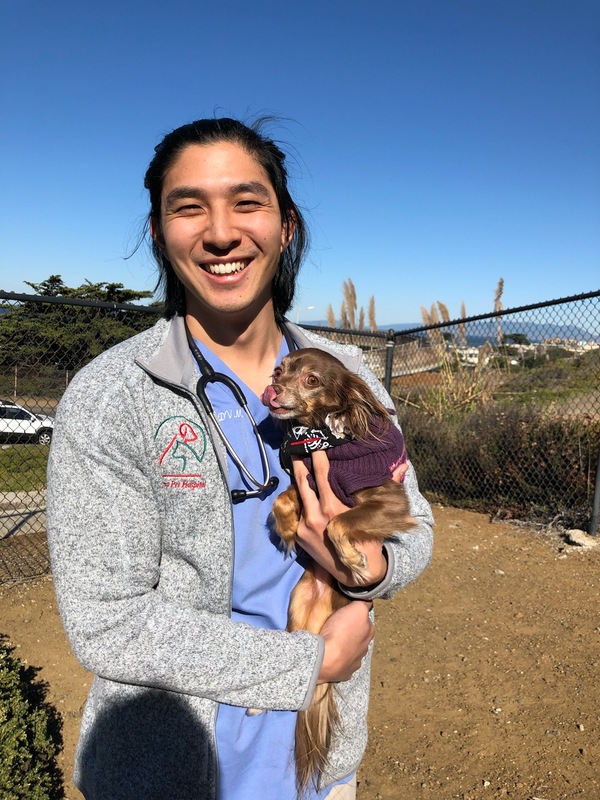 On his free time, Dr.Tam loves to play board games and eat with his friends & family, as well as take his Golden Retriver, Lady, To fetch the frisbee at Fort Funston. Dr. Isaac Jeon, originally from Vancouver, Canada, was adamant on becoming a veterinarian since he was young. He completed his bachelor’s degree in biochemistry at University of British Columbia in Canada, continued his studies in veterinary medicine at Ross University in St. Kitts, West Indies, then completed his clinical training at Cornell University in Ithaca, NY. While working at an animal shelter, he developed interests in surgery. He is a proponent of preventive medicine and enjoys discussing with owners the importance of proactive care. Some of his favorite hobbies include soccer, snowboarding, snorkeling, and drinking beer/coffee around good company. His favorite spot? Twin Peaks! Dr. Afsaneh Raoufinia, D.V.M. Ph.D.
Dr. Nia, as all her staff and clients call her, obtained her DVM degree in 1986, and Ph.D. in Medical Microbiology in 1992 from Tehran University. After participating in a research program in Colorado State University, she received her veterinary accreditation from Tuskegee University in Alabama. She has many years of experience in regular and emergency animal hospitals in Nevada and California. She was also the co-owner of the only 24-hour animal hospital in Las Vegas for 3 years. Dr. Nia completed her acupuncture course in International Veterinary Acupuncture Society (IVAS). She has added alternative complementary medicine to her list of services. She enjoys hiking, painting, and watching movies in her free time. Dr. Wells is now available for specialty surgeries. Dr. Wells surgical interests include orthopedic and oncologic surgery with a special interest in minimally invasive techniques (arthoscopy/laparoscopy/thoracoscopy), Joint replacement and reconstructive procedures. His research focused on peri-operative analgesia as well as oncologic staging techniques. His veterinary education includes: DVM graduation from UC David, and Board Certification- Diplomate, American College of Veterinary Surgeons. Dr. Sean Wells is available, on a referral basis, to perform orthopedic, neurologic, and soft tissue/oncologic surgeries at Oceana Pet Hospital. Sean grew up in the mountains northeast of Ojai, California. He enjoys surfing, hockey, snowboarding, and any activity involving the water. At home he enjoys cooking, home-brewing beer, and relaxing with his cats. Dr. Tabai earned his DVM degree in 1989 from Tehran University. He received his veterinary accreditation from Alabama. Dr. Tabai was the primary owner of a 24-hour emergency animal hospital in Las Vegas for years. He has brought his years of experience in emergency training and volunteering in rescue groups and animal shelters to Oceana Pet Hospital. He has been licensed in Washington, Nevada and California. Dr. Tabai is certified through Vet-Stem to perform Stem Cell therapy. He likes to play chess and to travel in his spare time.